Preschool STEM is all about exploring scientific concepts safely and beginning to understand the scientific method. 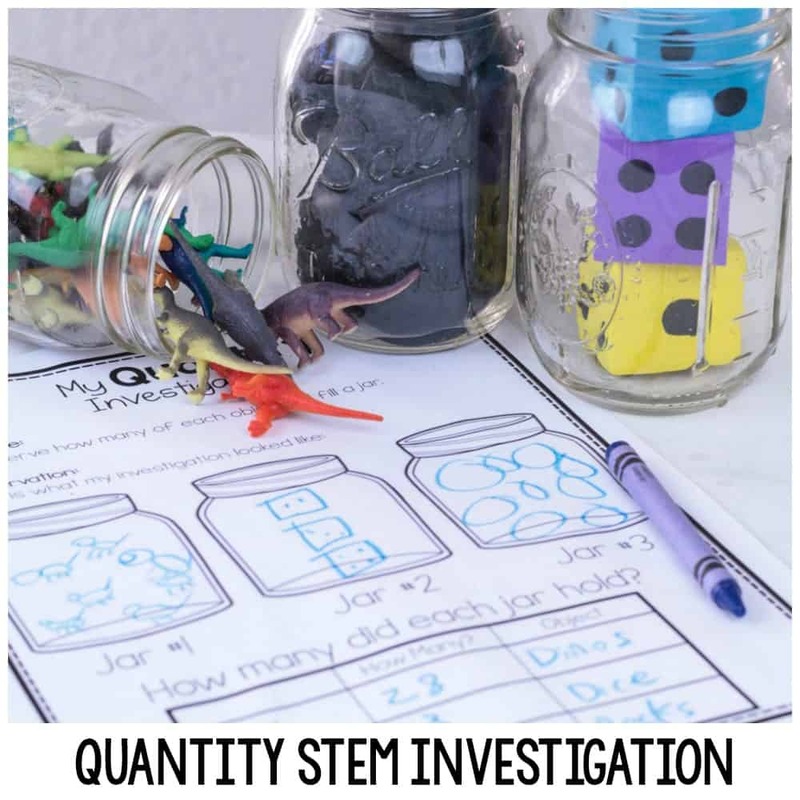 In this preschool STEM activity, preschoolers explore the basics of quantity. 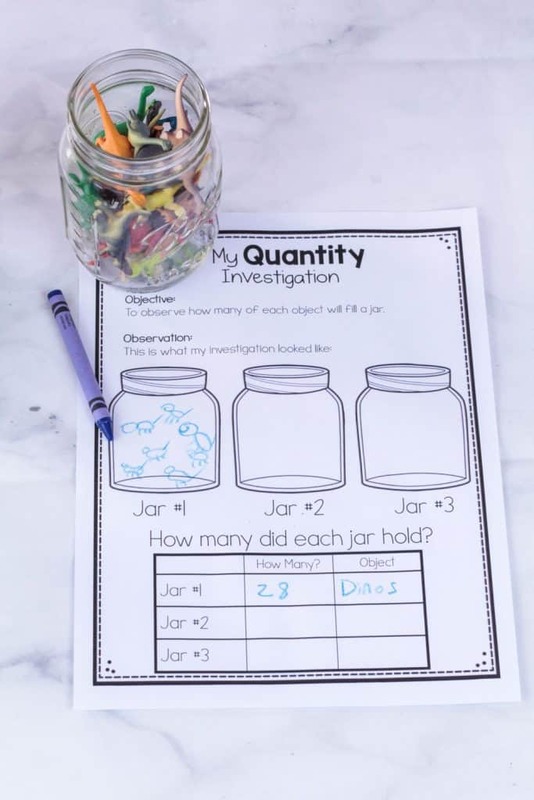 The printable worksheet is the perfect addition to round out this easy STEM challenge. The activity will keep kids fascinated over and over again, and teaches a lot about the scientific method, making a hypothesis, making an experiment, analyzing data, and recording results. You can have children draw to fill in the worksheet or let them write their answers in. Kids will love repeating this activity over and over, which makes it ideal for use in science centers and for independent learning stations. 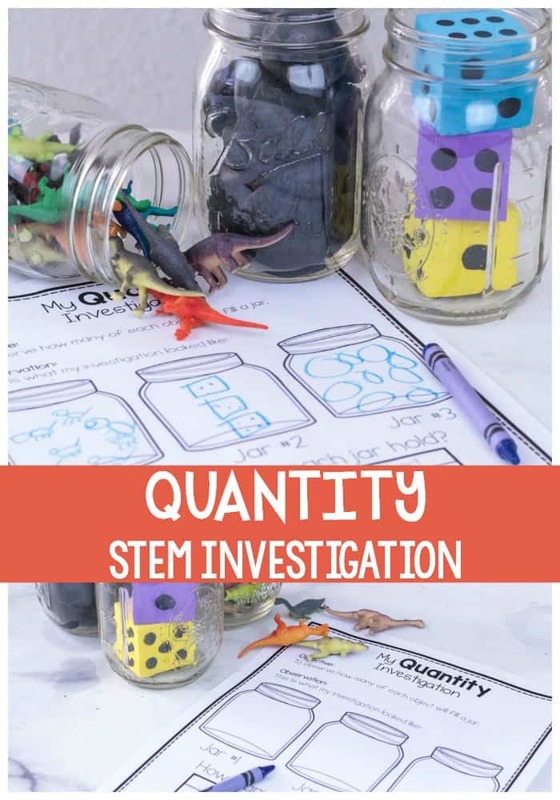 Little science lovers will love this fun STEM investigation on quantity. Best of all, kids can do this experiment alone in a science center, or as a group! This activity is the perfect independent STEM activity for preschool and kindergarten science centers. 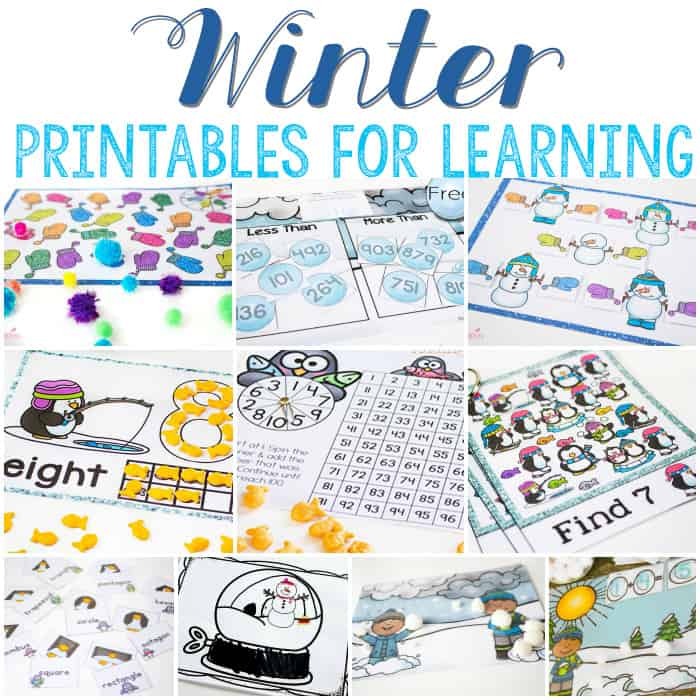 Laminate a copy of the printable so that kids can use it over and over again. You can also divide your classroom into groups and complete the activity together. Provide the kids with a variety of different-sized objects. There are three examples on the worksheet, but you can try more objects if you want. In our experiment, the kids used foam dice, toy dinosaurs, and river rocks. 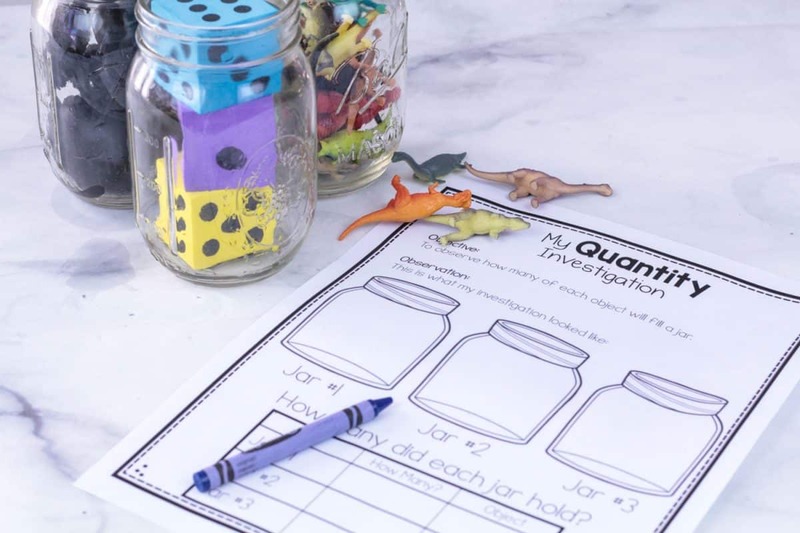 Have the kids fill the jars with their chosen object, counting as they go to see how many of each object fits into each jar. We got 28 dinosaurs to fit in the jar, 12 river rocks, and 3 foam dice. When the jars are full, have the kids record their results on the printable. They can write in or draw their answers. Thank you for all of the wonderful activities, resources, and amazing ideas that you share. I am a HUGE fan and gratefully use your resources in my classroom.